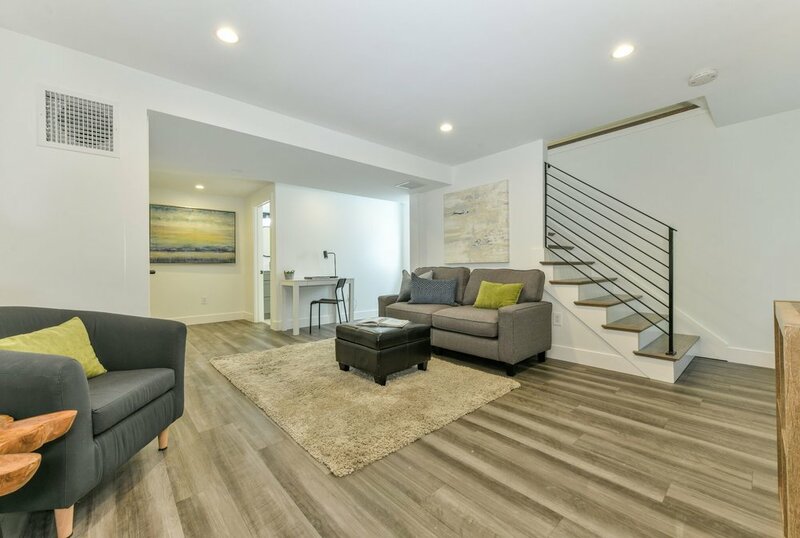 Fabulous renovation with high attention to detail and design. This open concept layout features a versatile floor plan allowing for fun entertaining and easy living. The first floor offers a large living/ family room space open to the dining room and kitchen. 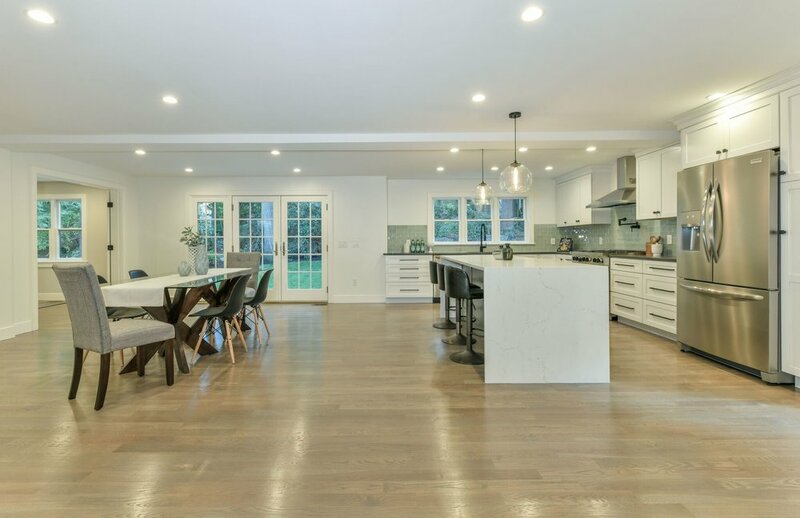 The kitchen has all the bells and whistles and is highlighted by the large quartz waterfall island with custom cabinetry and high end appliances. There is a den/ guestroom with French doors and a full bathroom also on this level. The second floor features a gracious master suite with 2 walk-in closets and a fabulous master bath with soaking tub and tiled shower. There are 3 additional bedrooms (one en-suite) and laundry also on this level. 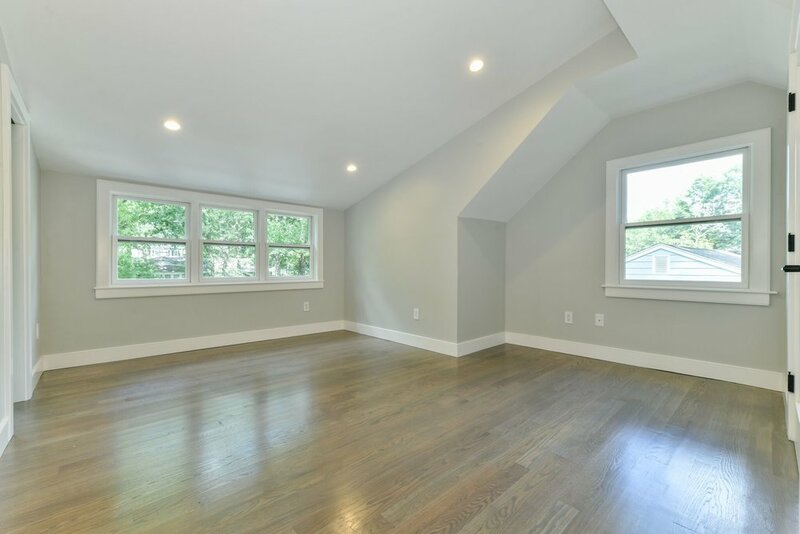 The lower level has a finished room with full sized windows and a full bath perfect for additional family room. Lovely patio and grassy back yard. Easy access to Chestnut Hill Square, the Street and medical centers.